Lyman 6 In. Stick-On Target Dots - 15 Pack | BUDK.com - Knives & Swords At The Lowest Prices! For years shooters have used bright orange peel and stick Target Dots to see better and shoot higher scores. 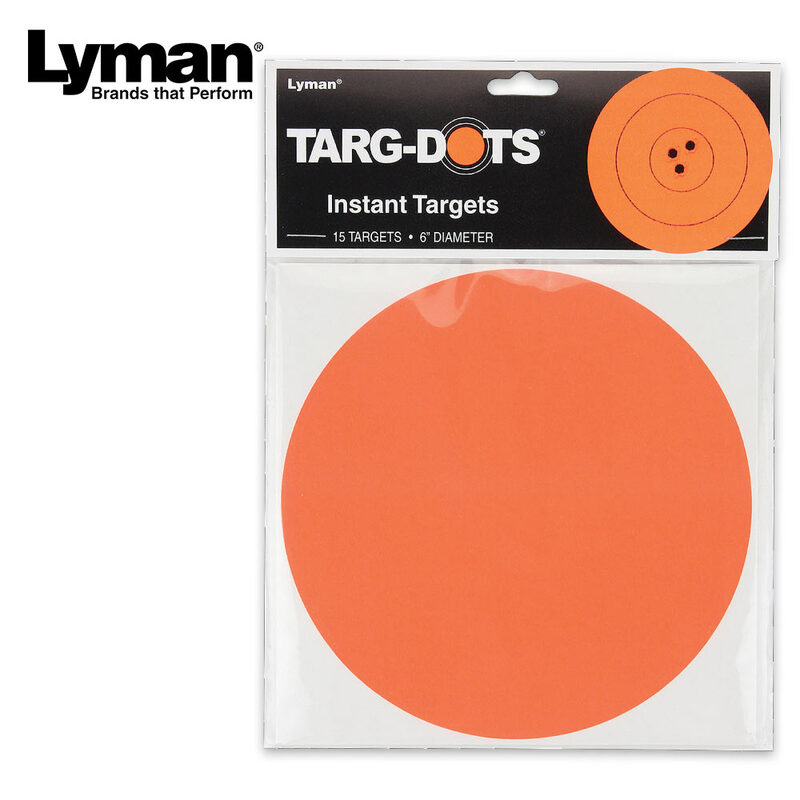 These peel and stick dots are ideal to brighten regular black and white targets, while they can turn anything else into a target. The fluorescent orange aiming points give any target better visibility. This is a package of 15 target dots that are 6” in diameter.